Here at CommonLook we spend a lot of time talking about (and teaching) how to fix PDFs so that they’re accessible to everyone including people with disabilities who use assistive technologies like screen readers, etc. However, if you can take a proactive approach toward accessibility and design your documents correctly, then the repair work in the PDF may be minimal, if it’s even needed at all. Microsoft Word includes a lot of functionality that makes it easier to create good looking (or at least consistent looking) documents that also help with the accessibility. For example, when you want to indicate various sections within your document, instead of using the “Normal” style and then making the font bigger, bolder, etc., use the Styles that Word provides. For the Title of your document, use Heading 1. Then, for the “major” sections (chapters, for example) use Heading 2. If a particular chapter (or section) has sub-sections, use Heading 3 for the titles of those subsections. If you think of headings like and outline, this might help. Did you know if you don’t like how a particular heading is formatted in your document you can change it? From the Home tab in Word, select the style you want to change in the “Styles” group, right-click (or use your keyboard) to open its context menu and then choose “Modify.” Make any changes you’d like and select “OK.” The changes will then be applied to wherever you use that heading in your document. This assures that every time you use a Heading 2, for example, they’ll all look the same. Meanwhile, people who are using assistive technologies like screen readers can use the headings to understand the structure and organization of the document as well as to help them navigate through the document more easily! Similarly, MS Word has functionality to easily make lists. In the ribbon on the Home tab, in the Paragraph group, select the option to create bulleted (unordered) lists or lists that are ordered (with numbers, letters and/or Roman numerals). For the author, the benefit of using the list functionality, as opposed to hand typing the bullets (or numbers), is that Word will automatically format your lists for you, giving them a consistent look and will also create the next list item automatically for you as you type (when you press Enter). From an accessibility standpoint, using the list functionality will then allow people using assistive technology to know that there’s a list as part of the content. When a screen reader is reading a document to someone and it comes across a list, it’ll tell the person there’s a list there, how many items are in the list and, when the screen reader is done reading the list it’ll say, “Out of list.” Again, this is important structural information. Just like Styles and Lists, Word provides the functionality to easily create data tables in your document. That being said, tables can be tricky. One very important thing to keep in mind with tables is do not put a table in the document just to help with formatting or layout! When screen readers and other assistive technologies encounter tables, they tell the user that there’s a table in the document, how big it is (the number of columns and rows) and then tries to find headers and data cells and associate them with each other. Of course, when a table is used for formatting, that’s not accurate structural information. Example of accessible table created in Word. Click on image to open accessible PDF, then view with Adobe Acrobat. Another thing to consider when it comes to table layout is don’t let rows break across a page. This can be confusing for people who are visually impaired and perhaps using a screen magnifier because they may not realize that the content of a cell continues onto the next page. Another visual consideration is to use the cell borders (the lines) in your tables. The lines are helpful – and even crucial – for some people visually looking at the table! Of course, if you have a table that spans multiple pages, use the functionality in Word to repeat the column headers at the top of each page. That way people don’t have to keep flipping pages back and forth to know which column they’re in. Also, be aware of tabbing order. Once your table is built, put your cursor in the top left cell and then navigate through the table with just the Tab key on the keyboard. If it’s not read logically, in the order that you want, you need to redesign your table. Finally, don’t use Tables just for formatting or layout. Yep, it’s that important that I’m mentioning it again. While you’re creating your document, make sure that you’re not using visual cues (color, font, size, style, location on the page, etc.) as the only way of conveying information. 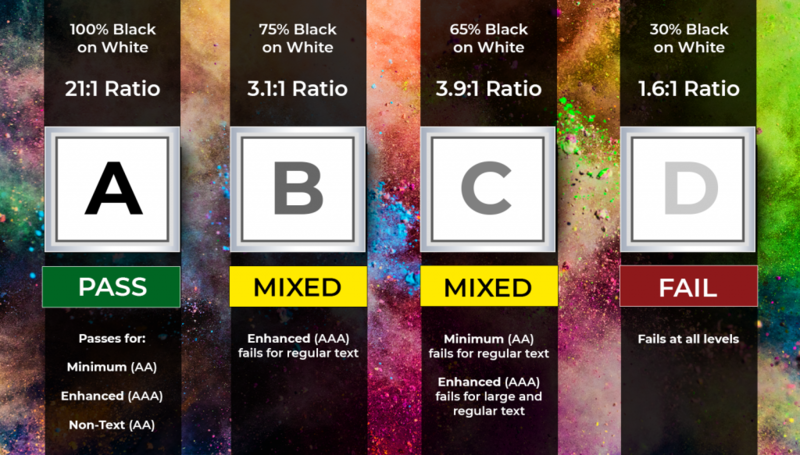 If you use color, for example, as the only way to indicate some numbers in a data table are negative, screen reader users, as well as people looking at the document who have certain types of color blindness, are going to miss the fact that some numbers are negative. The same goes for if you use bold or italics to indicate information. Screen readers won’t announce that the text is bold or italicized and, even if they did, people might not know what that formatting was being used to convey. Along similar lines, make sure that you choose colors that provide sufficient contrast between foreground and background, surrounding text, etc. A great – and free – tool to help check for color contrast is the Colour Contrast Analyser (by the Paciello Group). I love this one because I don’t even have to know the hex codes for checking colors. I can just use the medicine dropper to sample and compare colors. 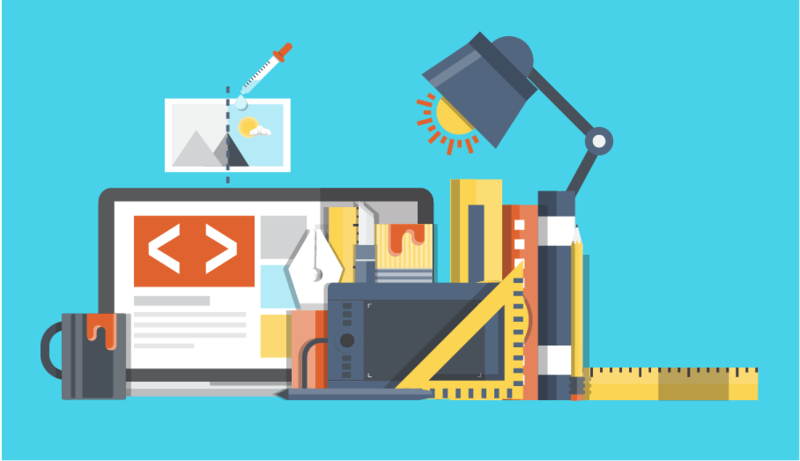 When it comes to including graphical elements in your documents, there are a couple of things to consider. First is “placement.” When inserting an image or a chart, for example, in the “Text Wrapping” options, choose “In Line with Text.” While this doesn’t necessarily lend itself to creating the most beautiful documents, it’s an important detail from an accessibility standpoint. Placing these items in line with text will help to assure that they get read in the proper reading order without having to go fix things in the PDF (a potentially more difficult task). Second, provide Alternative text. When a screen reader encounters a Figure tag in a PDF, it’ll tell the user that there’s a graphic on the page (it’ll literally say, “Graphic”). However, if there isn’t any Alternative text, people using screen readers won’t know what’s important about that graphic and why it’s there. Depending on your version of Word, where you do this might have recently changed. Either select the image and then, from its context menu choose “Format Picture,” go to “Layout and Properties,” and type in your description (in the “Description” field, not the “Title” field). In newer versions of Word, select the image, go to the “Format” tab on the toolbar and choose “Alt Text” in the ribbon. Fortunately, if you’re creating your document in a logical manner, the reading order is easy to get right! Just keep in mind to place your images “In Line with Text.” That said, if you want to format your text into columns, for example, use the Column functionality that Word provides. Avoid using Text Boxes and Sidebars. Sure, they can look nice, but they introduce a lot of accessibility pitfalls that are difficult to fix and most likely would need to be fixed in the PDF (which, as mentioned earlier, can be significantly more difficult). Once your work is done in Word, you want to convert your document to PDF. There are a couple of reasons for this. First, people don’t have to have Word on their machines to be able to read the document if you convert it to PDF. (All they’d really need is the free Adobe Reader.) Also, Word itself has some accessibility issues (for example with tables and how they’re read) but these issues can be fixed in the PDF. Using the correct PDF creation choice can make all the difference. You can take a perfectly structured Word document, “Print to PDF” and end up with an untagged – and completely inaccessible – PDF. When assistive technologies are reading PDFs to people, they’re reading from the Tags. So, if a document isn’t tagged, there’s nothing there for the screen reader to read. 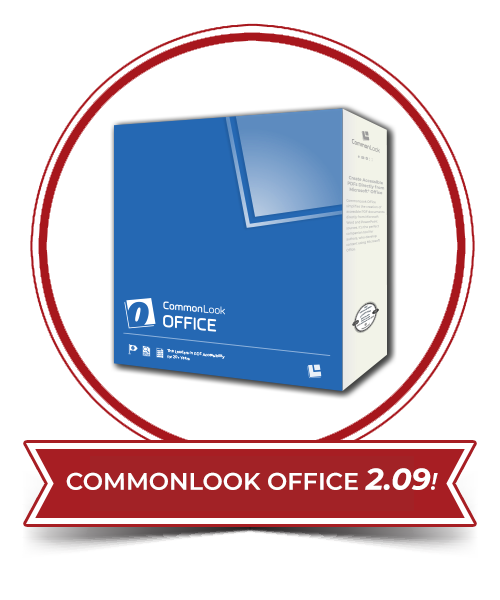 Of course, this’ll never be an issue for you if you’re using CommonLook Office. 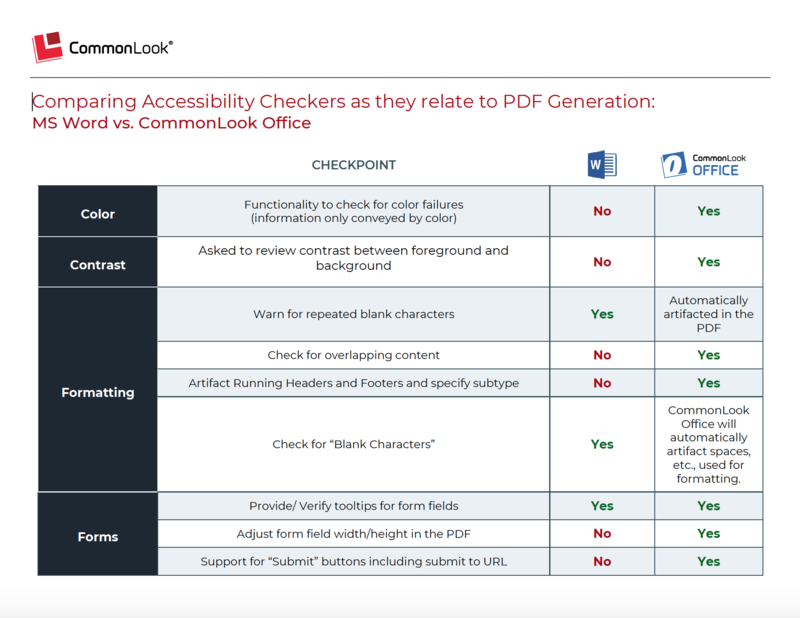 CommonLook Office is a plugin for Word and PowerPoint that will take you step by step through your document to address and fix any accessibility issues it finds and then, as the last step, it’ll create a fully tagged, 100% accessible PDF. And the beauty of it is you don’t have to know anything about tagging PDFs. Sure, MS Word has an accessibility checker but CommonLook goes much further. In fact, check out this comparison between the two tools. Have more questions on PDF accessibility? Contact us or stay up to date with our weekly newsletter.